"Ah, you're from Africa? You must know my friend Bob who lives in Gaborone." That's the oft tongue-in-cheek story Africans like to tell, to illustrate how much of the world perceives the continent - one giant landmass they know very little about. Interesting then, that in the world of tourism, there are plans afoot to create an African Tourism Board. When asked recently whether such a pan-African initiative to promote African tourism would be viable, my response was that we already battle perceptions in Africa about the continent being one country. If an Ebola outbreak happens in West Africa, South Africa feels the impact in the form of reduced tourism numbers, and yet Spain is closer to West Africa than South Africa is. 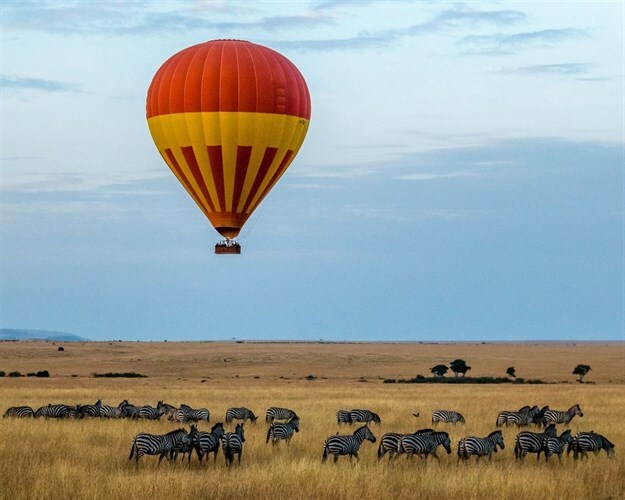 One of the strengths of marketing travel to Africa is that its destinations offer so much diversity. How would an African Tourism Board even begin to market the continent as one brand when there are so many cultures, ethnicities, landscapes and languages that comprise the continent? How could this organisation hope to position the African continent as a tourism destination, while ensuring the integrity of the individual country brands that exist? But before we even have the discussion about one brand identity for the African continent, we have to talk about removing some of the obstacles that make the destination an unfavourable choice for travellers who are deciding where to spend their tourism dollars, dirhams or dinar. You can have the most beautiful, inviting home on the street, but if the gate is locked and the door and windows are boarded up, what’s the point of keeping its outside appearance in tip-top shape? In fact, if anything, it’s a complete brand disconnect when you entice a traveller with your destination marketing, but make it almost impossible for them to visit through onerous visa regimes or lack of access. That said, it’s quite an exciting time for Africa. We’re seeing real steps towards opening up the continent – increasing air access to hubs across Africa such as Addis Ababa, Lagos and Nairobi – and a more favourable visa regime. It’s high time as well since we’ve been talking about Africa being ripe with opportunity for some time. Finally, it feels like we’re on the verge of this becoming a reality. And while I don’t believe necessarily that we can market the continent as one travel destination, I do feel that we need to be a more integrated continent, which is why I applaud efforts that certain African nations are making to work together on airlift, more open visa regimes and free trade agreements – all being key to boosting intra-African leisure and corporate travel. The caveat to that is when these practices are adopted by a few, but not all as we have seen with the Yamoussoukro Agreement, which is now re-emerging as the Single African Air Transport Market. Here, again, we have just 23 countries signing to open up Africa’s skies. What’s happened to the other 31? Even here in South Africa, the obstacle of unabridged birth certificates and onerous visa requirements for such African nations as Nigeria pose significant risks to increase inbound tourism from those markets. The recent appeal by South African Tourism Minister Derek Hanekom at Indaba to relax its visa requirements and efforts to engage with Home Affairs are most welcome. We often hear government stakeholders acclaim tourism and its role in the economic growth of a country. The next step is making tourism an economic priority – not only in words, but in deeds. As we have seen, however, it can take some time for government efforts to be coordinated to the extent where it’s truly a case of ‘Open House’ with the welcome mat at the front door. Finally, once we’ve got our house in order, it’s not fair to rely on the government only to roll out the welcome mat. Destination marketing today requires a cohesive effort between public and private sector to be everywhere, all the time, based on how travellers and tourists consume information and make decisions to travel. So, while you and I in the private sector may not be involved in cleaning house, we certainly need to work together, and with government, to make sure people know the gates are wide open and they’re invited – no strings attached.